Welcome to Technopark - Setting up a company to improve your experience. The IT / ITeS start ups received a terrific boost, when in the year 2002, the Govt of Kerala launched incubation services under the TBIC (Technopark Business Incubation Centre). The proposal for TBI (Technology Business Incubator) with a view to promoting companies in IT, Electronics, Biotechnology, e-learning, Bio informatics and Social Entrepreneurship was submitted in 2006 under the DST (Department of Science and Technology ). Presently, the Technopark TBI hosts 50 companies - 14 under the Product platform and 36 under IT / ITeS. Kerala Start up Mission (formerly Techopark Technology Business Incubator) has been driving the startup saga in the State of Kerala from the year 2002.The reflections in the mind-set of the youngsters to become entrepreneurs have been greatly influenced by the vision of Kerala Start up Mission formerly (T-Tbi).Since its inception the drive to boost up the technology business incubators have been successfully fulfilled. In 2006 T-Tbi formulated as an independent society supported by DST, GOI. 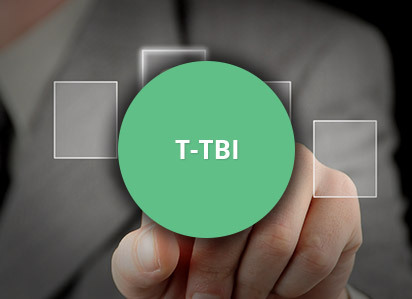 In 2012 T-Tbi designated as the Nodal Agency for startups supported by GOK. Six Months‟ rent as advance have to be submitted. Incubation stage will be 6-12 months where startup companies graft product development and prepare themselves for marketing. During this stage the entrepreneur takes up the role of a ‟technopreneur‟, who brings all his efforts (such as technology, team, seed money,) to build a market viable prototype(MVP‟s). KSUM at this stage will allot them specific seats/modules along with funds or grants as applicable under department scheme and right mentorship. KSUM can also offer a wide array of value added services like entrepreneur trainings and workshops, skill development programmes, leadership programmes, R & D facilities, International tieups etc to speed up the incubation cycle. The incubation stage enables the entrepreneur to be ready with an „innovative technology‟ in the form of marketable product that can primarily drive the market, and which is easy to pitch before an investor/VC in future. Accelerator stage will be of 3-6 months, and this will be a business tool box and a holistic business advisory service, resembling the traditional management consulting or mentoring, but adjusted to fit for the startups. The focus of accelerator stage shall be on rapid growth and to sort out all organizational, operational, financial and strategic difficulties that may be facing the business under KSUM guidance through a highly systematic approach. The startup shall be presented to VC‟s and investors (strategic & financial). The business incubator programme will be highly intense and focused programs for the startups to try and look at their entrepreneur talent with in a period of 3-6 months(pre-incubation stage). The “fail fast” approach will again help the entrepreneurs to save their years not endeavoring into a non-workable solution and choose their career path in less time. The limited time frame also inculcates some thrust in the entrepreneur to rapidly achieve his goal of setting a successful enterprise. KSUM will be initially provide shared workspace, that enables the entrepreneur to incubate their ideas in a right ecosystem and limits him on spending into unwanted luxury spaces in the startup phase. The entrepreneurs will undergo a regular and frequent review in the new system, that creates a mental urge to hunt for his passion and to expedite his entrepreneurial venture in a serious way. The startups will be provided with regular orientation programmes and mentoring sessions. KSUM has industry specific mentors with international exposure, domain experience and connections within the area and level of business the entrepreneurs work at. KSUM offers mandatory mentoring sessions like „Meet the Mentor programme‟ to encourage the entrepreneurs by sharing their knowledge and entrepreneurial experiences. A set of support services comprising fabrication lab facilities, mobile communication labs, software and security testing facilities etc would be provided under this. The entrepreneur would also be supported through programmes like „NASSCOM Product Conclave‟ and funding options as applicable by the government departments for product development. The technology thus developed would undergo constant review and mentoring by KSUM. KSUM would create a funding platform for those incubated technology startups for developing or enhancing the technology product or innovations and marketing them. KSUM can either provide a seed loan of NSTEDB (National Science, Technology and Entrepreneurship Development Board), DST or TDB(Technology Development Board); MSME grants, PRISM grants and link to any institutional funding of KSIDC (Kerala State Industrial Development Corporation), KFC (Kerala Financial Corporation), KSCSTE(Kerala State Council for Science, Technology & Environment) or KSITM (Kerala State IT Mission). KSUM can also make arrangements to access Angel Investors like IAN (Indian Angel Network) or TiE (The indus Entrepreneurs); Venture Capitalists and Accelerator funds for the entrepreneurs. KSUM has wide networks comprising the government, industries, industry associations like TiE, NASSCOM, NBIA (National Business Incubator Association), InfoDev (initiative by World Bank), investors, universities, institutions like MIT USA and IIMs, R & D centres, OEM‟s like Apple & Raspberry Pi Foundation, business mentoring consultants like D2E, training institutions like ICT Academy, UNCTAD-Empretec and so on. KSUM‟s collaboration with Technopark has created a brand value and right industry ecosystem for the technopreneurs to groom. Further KSUM would also encourage the startups to participate in various contests like TATA first.NEN, In 50 Hrs, international exhibitions like CeBIT & GITEX and international conferences like ISBA (Indian STEPS and Business Incubators Association). KSUM would be devising potential technopreneurs from iEDC‟s or BootCamps at Colleges and mentor them to develop potential technology products that can be brought out in markets. KSUM in associating with government and incubators like startup village would constantly endeavor in inculcating entrepreneurship spirit right from schools and colleges by hosting several programmes and initiatives. Extension centres at Colleges have been established under the Innovation and Entrepreneurship Development Centre (IEDC) of the T-TBI to promote students in technology entrepreneurship. Currently, 42 Engineering Colleges in Kerala run IEDCs. The Government of Kerala has come up with a Student Entrepreneurship Policy for promoting Entrepreneurship by offering 4% grace marks and 20% attendance. The student needs to be an incubatee under the TBI to be eligible to avail the privileges under the policy. The Technology Innovation Zone is a much innovative project under the TBI that operates at Kalamassery and which promotes technology in diverse sectors like Biotechnology, IT/ITeS, Telecom, Agriculture, Tourism, Coir, Health & Media. An area of 13.5 acres is earmarked for setting up the Innovation Zone. 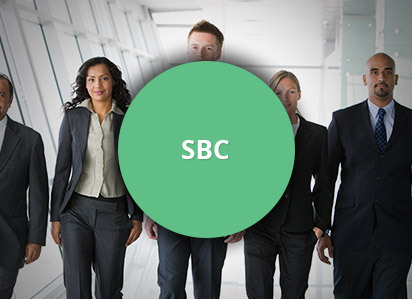 The SBC business model that operates both in SEZ and non SEZ areas let out office space ranging from 500 to 2500 sq.ft and offers fully Plug & Play, Ready to move in facilities. The minimum rent of an SBC in Thejaswini, Technopark, Phase I is Rs.35k per month. The thumb rule calculation on rent for SBC at Yamuna, Technopark, Phase III is Module space(sq.ft.) x Rs.75.20/- O&M charges is at Rs.6/- per sq. ft. per month. 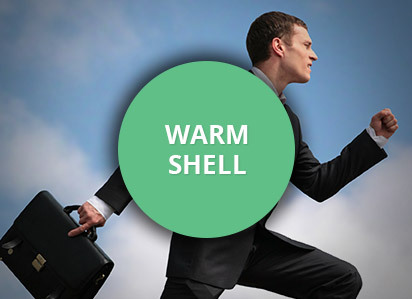 The Warm shell business model puts forward unfurnished space for clients. Depending on the technical feasibility partitioned area is provided as well. However, the first option always remains to rent out the entire floor without partitions. An agreement for 3 years is signed with the client. The thumb rule calculation on rent for space is Net rentable area(sq.ft.) x Rs.40.50/- O&M charges is at Rs.6/- per sq. ft. per month. In the Land lease business model, the entire land is owned by Technopark, which is leased out to clients for 30 years based on the prevailing market value of the land. 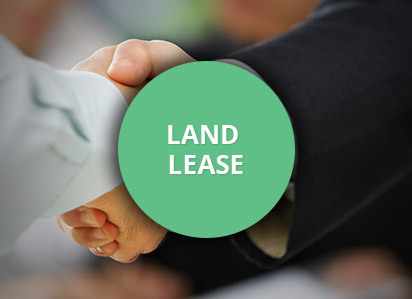 The client could then bring in the required infrastructure and set up their business on the leased land. Technopark would lend the expertise of its engineering teams to erect the infrastructure of the client building based on their approved plan on the land leased to the client for a period of 30 years in the Custom to built business model. 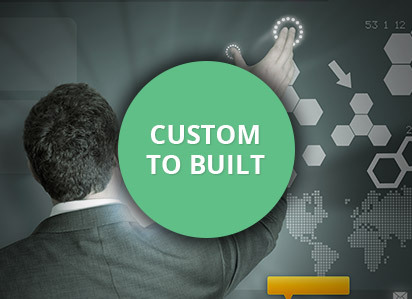 Especially beneficial to large companies, the Custom to built business model offers a hassle free experience through a single window clearance board approval of Technopark. The infrastructure will be delivered to client as a ready-to-move-in, plug & play facility. The entire costing will be done upfront and an agreement will be done on the same with the client.